We’re do I start on clearing my loved ones home, and whether they are a lifelong hoarder or neat as a pin, it is still a daunting task. 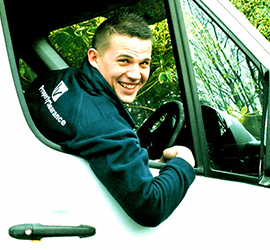 We at HV Property Clearance, we have decades of experience in House Clearances in Glasgow. We can carry out a complete house clearance, from clothes to carpets, or simply take out the rubbish after you’re finished clearing out – whatever you need. As well as internal house clearance work, we can tackle other spaces such as lofts, sheds, garages, storage units and outbuildings of any size. Whatever the reason for needing the clear out, HV Property Clearance is the perfect choice for stress-free domestic waste disposal. From cutlery and crockery, to tables and chairs, to doors and windows, even bricks and mortar; HV Property Clearance specialise in house clearances in Glasgow, and can dispose of whatever needs removed – whether it’s an individual item or a full house clearance in Glasgow and the surrounding areas, we can help. Our House Clearance Glasgow service! We do what we say we will, when we say we will. All our staff are trained to respect your property. And don’t forget HVProperty Clearance offers a great deep cleaning service.